Creativity lives inside a person, for some it is awakened at different points in ones life and for others it is a perpetual force that fuels them. Whether or not you see yourself as a creative person, everyone has the ability to be creative as well as feel at a loss for inspiration. Sometimes, creativity is influenced by one’s surroundings and everyday life, through music, or other artists. The possibilities to where you can find the spark is limitless. Through my own personal journey of creativity, I have stumbled upon 3 books that have enhanced my creative thinking as well as shaped my perspective on creativity. The words of someone else can offer you an inward look at the mind of a creative. Allowing yourself to be open to inspiration and freeing your imagination, not only sparks the creative mind but it also can give you an outlet of expression. 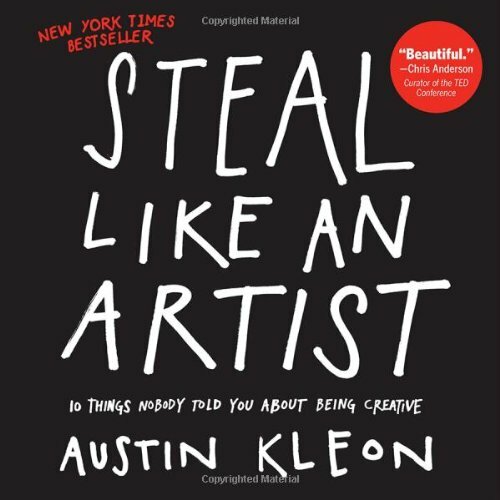 “You don’t need to be a genius, you just need to be yourself.” Austin Kleon gives us our first lesson in being creative. In his book, he explains that much of being creative is to stop doubting yourself. Create something, anything that you like essentially create for you. Kleon gives us the ten creative commandments that he has developed, through his own struggles as a writer and artist. His experienced words of wisdom as a guide to having a more creative life and discovering the artist within. Elizabeth Gilbert is also the writer of Eat, Pray, Love and she is the voice that beckons us to stop living under a rock with fear of the world. 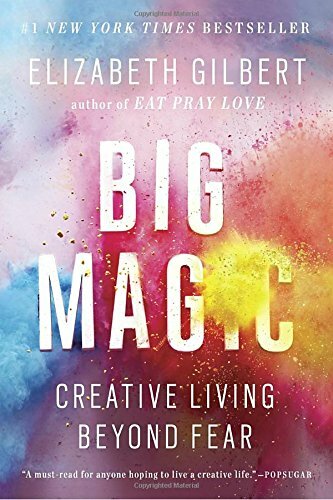 This book will not only inspire you to start bringing the color into your life in order to live with creativity but it also helps you do some personal growth. Sometimes hearing from a creative mind and knowing that they too become stumped for inspiration helps us to see that everything takes time and you can’t be doubtful, fearful, or be too hard on yourself. 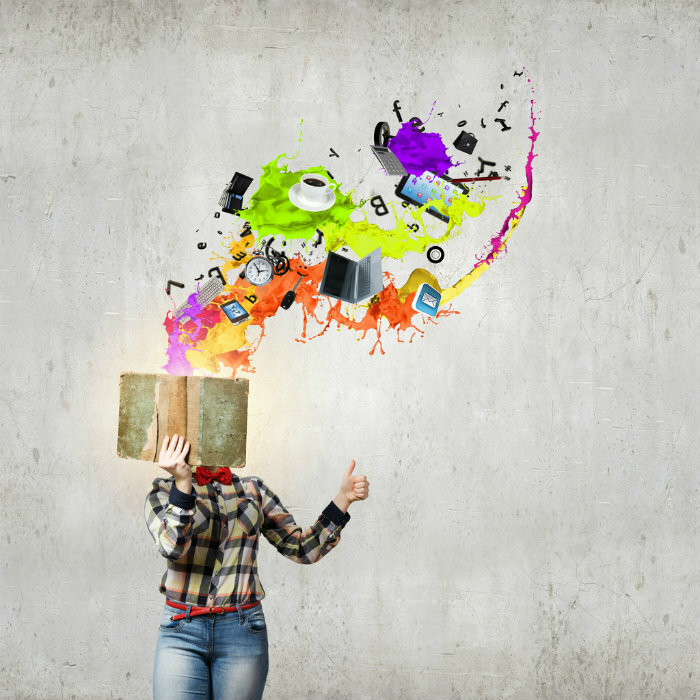 In doing so, you may be blocking your creative thinking. Why not believe in the impossible? Alice helps us to believe in anything. The magic and constant madness that lives within Alice in Wonderland is a place of the most imaginative and creative thinking to take place in a book. This book will offer you an escape from reality, something of pure enjoyment but also of inspiration. 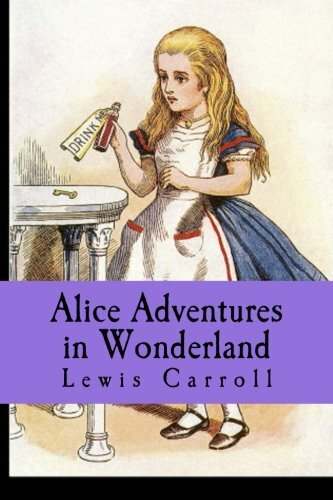 Lewis Carroll developed a character who is curious, brave and daring. If we lived a life full of curiosity as Alice did and allow ourselves to fall into a rabbit hole, we too may lead an imaginative and creative life.